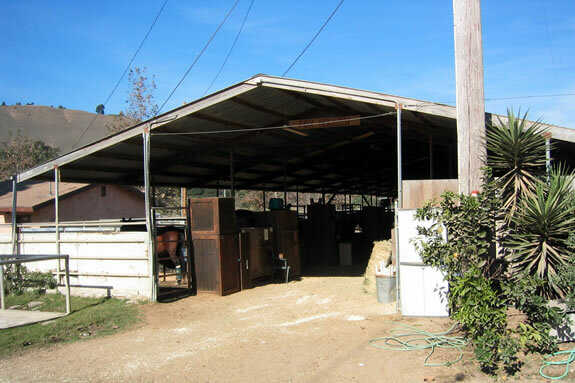 Spacious, 12' x 24' partially covered Pipe Corrals OR 12' x 24' In-and-Out Stalls, affording your horse access to the open sky AND protection from the elements. In-and-Out Stalls are half covered with shavings. Each Pipe Corral is cleaned daily. Wet bedding is removed daily and manure is removed twice daily from In-and-Out Stalls. Featuring a wide, well lighted, covered breezeway and individual tack lockers.